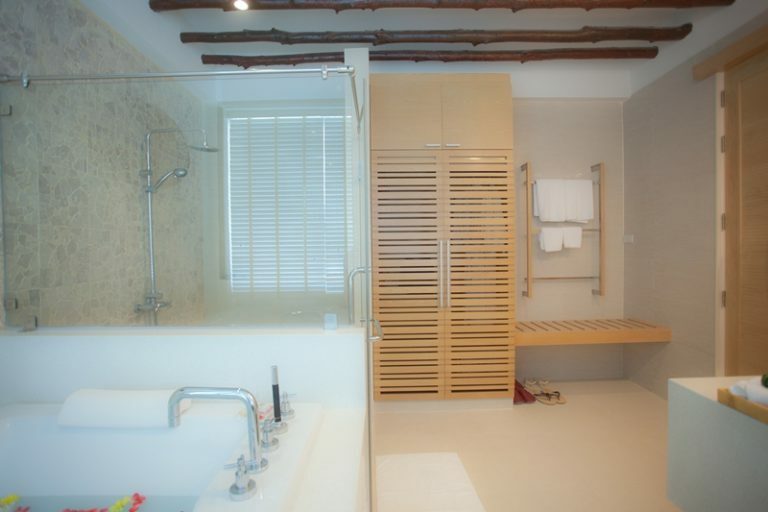 The extremely spacious interior consists of one large double bed, living area and jacuzzi bathrooms. Enjoy the spectacular views of the Arunothai Beach from the balcony. The turquoise-blue water is just a few steps away across the white sandy beach.